The shape of the hand is the most important aspect of hand reading because it is in the context in which the lines are read. personality, good will power, and someone who is hard working, energetic, ambitious and concerned with worldly success, and doing things as opposed to theorising. This means that the abilities and personality characteristics that she possesses (as revealed by her lines, mounts and fingers), are likely to be used in a productive manner. You can check out some images of her hand here, here and here. The Headline slopes down from the start, and it looks short, but this is deceptive. As it is sloping, it means it is longer than average. This type of Headline shows dynamism, a person who thinks on her feet, is instinctive, with a creative mindset. Sitharaman also has a fairly strong and straight heart-line, a good thumb, and a strong Jupiter finger as well, and this means support for the sloping Headline, and will help keep her grounded. The lines on the hand (whatever little is visible from the photographs on the net) are not extraordinary. However she has a prominent Line of Fate, although it is broken (but overlapped) in several places. This shows significant changes in her life and career at the ages where the breaks are seen. Her Fateline is very strong on the mount, and this compensates somewhat short Saturn finger (which is the balance wheel of the personality). Actually, her Saturn (middle) finger is not really short. 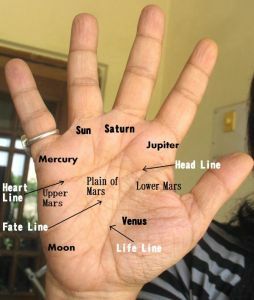 It stands tall and straight, if one looks at it by itself, but the fingers of Jupiter (index finger) and Apollo (ring finger) are very long in comparison. This lady may not be overtly aggressive, but fame, name, position, and worldly success are critical to her happiness. There is ego, but it is accompanied by diplomacy and a willingness to listen, which is seen both by the shape of her headline and thumb. She has excellent reasoning abilities. If one has to sum up her personality (as seen from the hand) one can see that she is straightforward, with a strong desire to be in the limelight. She may not be an intellectual, but is capable of doing a job with which she has been entrusted. 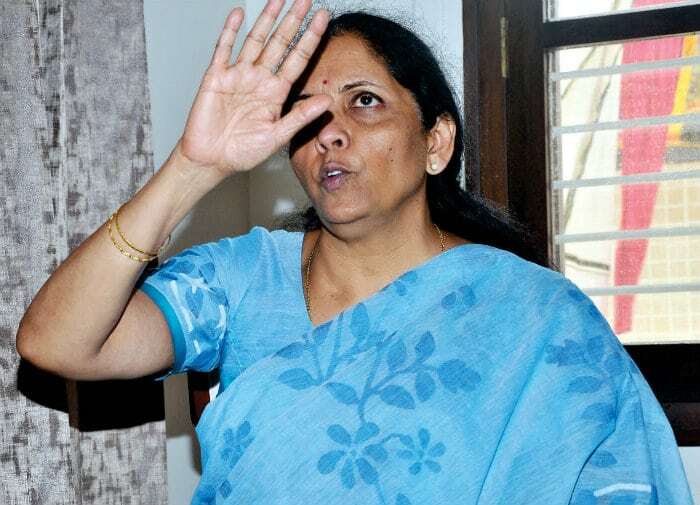 *Nirmala Sitharaman is the Defense Minister of India. You can check out the label Politicians for the hand analysis of other politicians from India and abroad.